PHOENIX--(BUSINESS WIRE)--Security is the biggest challenge to developers bringing new IoT endpoint devices to market. To meet this need, leading global technology solutions provider, Avnet (Nasdaq: AVT) today introduced the Avnet Azure Sphere MT3620 Starter Kit, which supports rapid prototyping of IoT implementations using Microsoft’s Azure Sphere, an end-to-end solution for creating highly-secured, connected Microcontroller (MCU) devices. Avnet will demonstrate the new starter kit for the first time at CES 2019, in booth #2609 at Tech East, Westgate Las Vegas Resort. 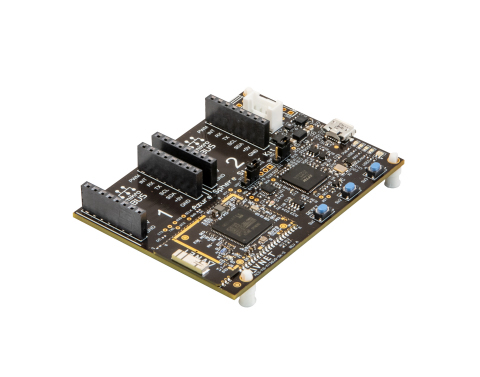 The Starter Kit leverages the Avnet-developed Azure Sphere module that is based on the MT3620 reference development board. The production-ready module is the fastest and easiest way to equip IoT endpoint devices to be highly secure, ensuring that developers can quickly move from prototype to production. Last spring, Microsoft named Avnet as a strategic partner for Azure Sphere and the first to distribute the solution. Today’s introduction of the Avnet Azure Sphere MT3620 Starter Kit further helps developers accelerate their IoT deployments while also addressing security holistically, from the silicon layer to the cloud. The kit is ideal for creating secured IoT edge devices, such as consumer appliances, as well as smart retail, remote access, building and factory automation applications. In a recent survey of the Hackster.io and element14 engineering communities, Avnet found that developers believe security remains the biggest technological hurdle in IoT deployment (81 percent). The Avnet Azure Sphere MT3620 Starter Kit includes a small form factor carrier board supporting Avnet’s production ready Azure Sphere MT3620 module with WiFi connectivity. Multiple expansion interfaces provide developers with easy integration of off-the-shelf sensors, displays, motors, relays and more. The downloadable “getting started” tutorial guides developers through the development steps from board setup to application coding. The Avnet Azure Sphere MT3620 Starter Kit is now available to pre-order for $75 USD, with delivery scheduled for early April. More information about this starter kit is available at: http://avnet.me/mt3620-kit. Avnet is a global technology solutions provider with an extensive ecosystem delivering design, product, marketing and supply chain expertise for customers at every stage of the product lifecycle. We transform ideas into intelligent solutions, reducing the time, cost and complexities of bringing products to market. For nearly a century, Avnet has helped its customers and suppliers around the world realize the transformative possibilities of technology. Learn more about Avnet at www.avnet.com. Avnet Azure Sphere MT3620 Starter Kit supports rapid prototyping of IoT implementations using Microsoft Azure Sphere, ideal for end-to-end solutions. Facebook account for Avnet Inc.
Twitter account for Avnet Inc.
LinkedIn account for Avnet Inc.